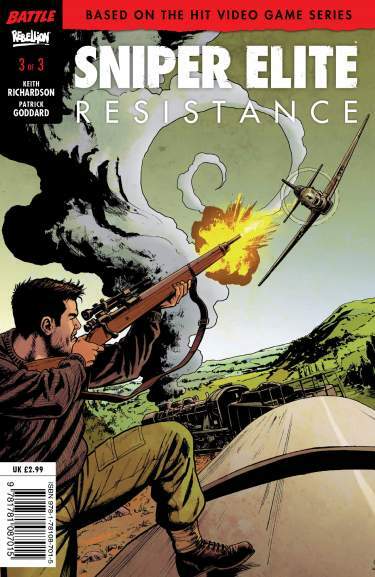 Issue 1 of 3 in the series. 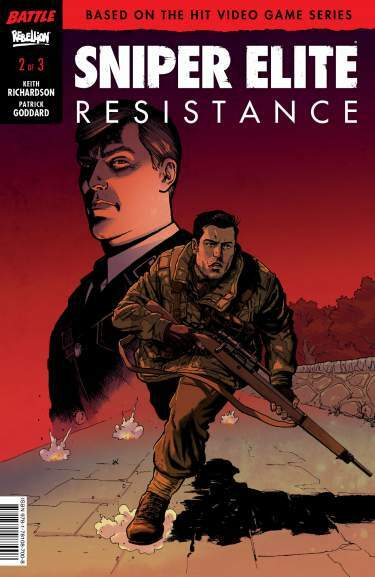 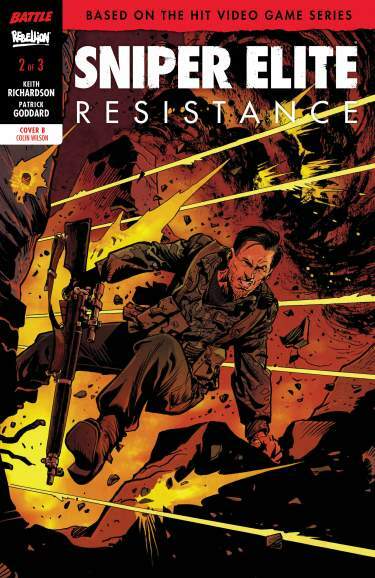 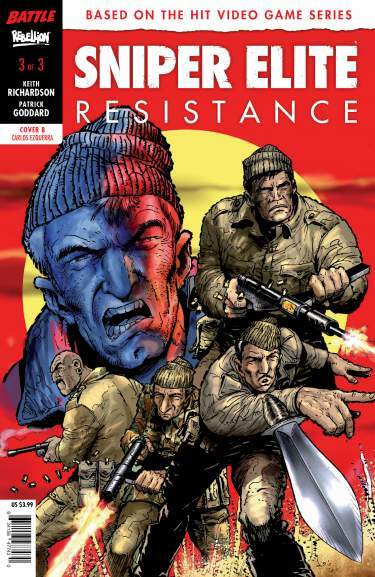 Based on the global bestselling videogame, Sniper Elite: Resistance is the brand new comic book from Rebellion. 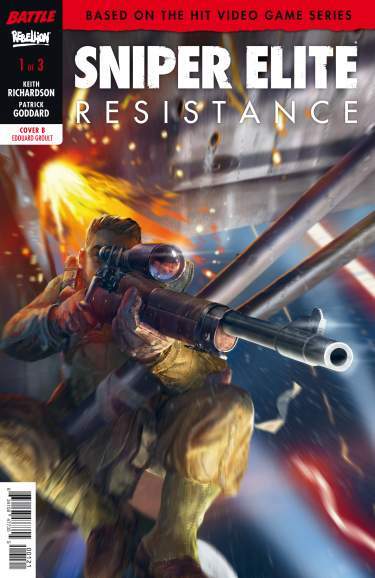 Sniper Elite: Resistance is an adrenaline-fuelled thrill-ride set during the darkest days of World War Two - a sure fire hit for gamers and comic book readers alike! 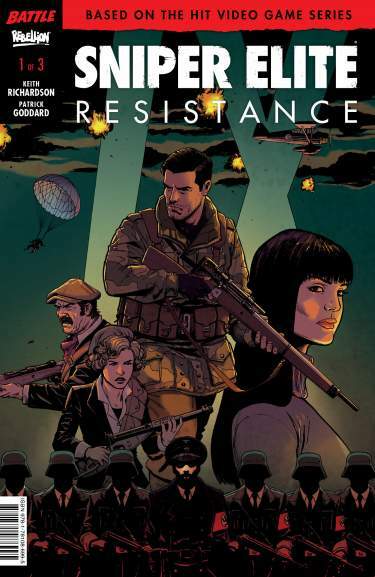 In occupied France, Allied Special Operations Executive hero Karl Fairburne parachutes into the town of Angouleme in a bid to stop the shipment of a new German anti-aircraft weapon - the situation is more complex, and dangerous, than he could ever have imagined.